When annoying leaks and clogged drains get you down, it's time to call Helmer Plumbing for fast and effective solutions. With the experience of a Master Plumber and Backflow Specialist always at your disposal, we'll solve all of your plumbing problems quickly and efficiently. We take a great deal of pride in our quality results and honest services, so give us a call today! Until your shower turns ice cold, you may not give your water heater much thought, but it is an essential part of your plumbing system. Make sure it's functioning properly with an expert inspection form our skilled and professional plumbing contractors. If we determine a water heater replacement may be necessary, we'll carefully explain what types will best fit your needs and budget. Don't wait for build-up in your drain or sewer line to turn your backyard into a soggy, smelly mess! With the help of our Master Plumber and Backflow Specialist, we'll fully inspect, repair and clean your sewers and drains. Keep everything functioning properly and save a lot of time, energy and money in the long run by trusting our amazing plumbing services! At Helmer Plumbing, our skilled experts provide a wide variety of plumbing repairs, including clogged drains, leaky faucets and damaged drain line repairs. Whether you know what the problem is or you need some help diagnosing the source, you can trust our team to conduct a thorough inspection and provide cost-effective solutions. 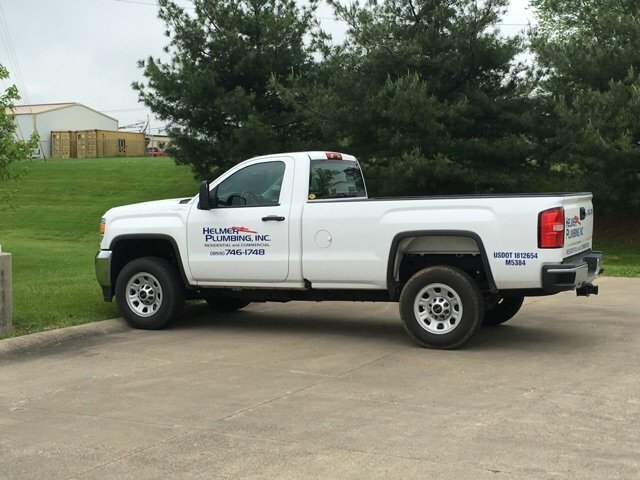 Call 859-746-1748 for expert plumbing services!